Pev’s Paintball has been serving paintball enthusiast for 22 years and Mike “Pev” Peverill has been considered a Pioneer in the Paintball Retail and Field Business. 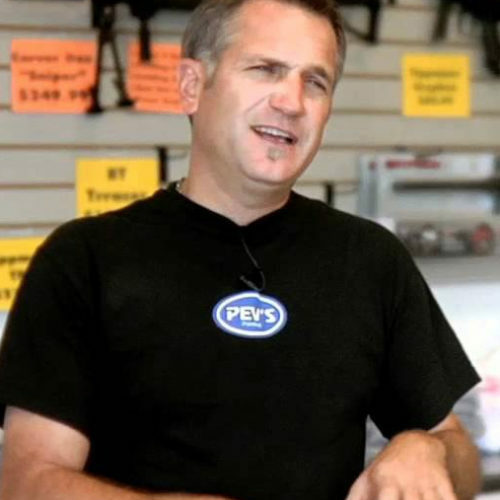 Pev founded Pev’s Paintball in 1993 and has continued to successfully grow and maintain his business by operating his business “like a business”. Pev designed and built from the ground up the state of art Paintball Park in the Washington, DC Region and continues to attract visitors from all over the world to include High Profile Celebrities such as Ken Griffey Jr, Ray Lewis, Alex Ovechkin, the entire Atlanta Braves MLB team and many more.